SEOUL/WASHINGTON (Reuters) – North Korea said it successfully tested a new intercontinental ballistic missile on Wednesday in a “breakthrough” that puts the U.S. mainland within range of its nuclear weapons, and increases pressure on U.S. President Donald Trump to deal with Pyongyang. Trump, who has vowed to halt North Korea’s nuclear and missile programs, spoke with Chinese President Xi Jinping on Wednesday and urged Beijing to rein in its ally North Korea. The latest missile test was the highest and longest any North Korean missile had flown, landing in the sea near Japan. It was fired a week after Trump put North Korea back on a U.S. list of countries it says support terrorism, allowing it to impose more sanctions. State media said the missile was launched from a newly developed vehicle and that the warhead could withstand the pressure of re-entering the atmosphere, which if confirmed would be an important technical advance. Kim personally guided the missile test and said the new launcher was “impeccable”, state media said. He described the new vehicle as a “breakthrough”. Trump said additional major sanctions would now be imposed on North Korea. “Just spoke to President Xi Jinping of China concerning the provocative actions of North Korea. Additional major sanctions will be imposed on North Korea today. This situation will be handled!” Trump wrote on Twitter. He gave no other details about the sanctions. The U.N. Security Council was scheduled to meet on Wednesday to discuss the launch. Many nuclear experts say the North has yet to prove it has mastered all technical hurdles, including the ability to deliver a heavy nuclear warhead reliably atop an ICBM, but it was likely that it soon would. U.S., Japanese and South Korean officials all agreed the missile, which landed within Japan’s exclusive economic zone, was likely an ICBM. The test itself did not pose a threat to the United States, its territories or allies, the Pentagon said. “It is a situation that we will handle,” Trump told reporters. Trump, who was briefed on the missile while it was in flight, said it did not change his administration’s approach to North Korea, which has included new curbs to hurt trade between China and North Korea. Washington has said repeatedly that all options, including military ones, are on the table in dealing with North Korea while stressing its desire for a peaceful solution. Other than enforcing existing U.N. sanctions, “the international community must take additional measures to enhance maritime security, including the right to interdict maritime traffic” traveling to North Korea, Tillerson said in a statement. China, North Korea’s lone major ally, expressed “grave concern” at the test, while calling for all sides to act cautiously. 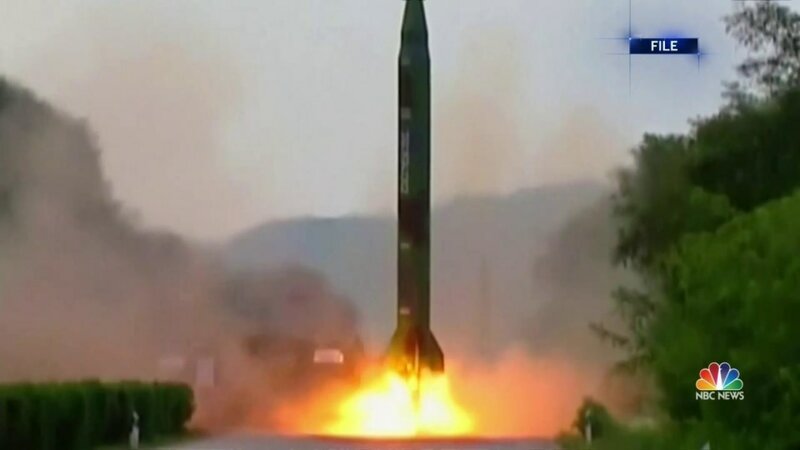 Based on its trajectory and distance, the missile would have a range of more than 13,000 km (8,100 miles) – more than enough to reach Washington D.C. and the rest of the United States, the U.S.-based Union of Concerned Scientists said. Moon said the launch had been anticipated. There was no choice but for countries to keep applying pressure, he added. “The situation could get out of control if North Korea perfects its ICBM technology,” Moon said after a national security council meeting. Last week, North Korea denounced Trump’s decision to relist it as a state sponsor of terrorism, calling it a “serious provocation and violent infringement”. Trump has traded insults and threats with Kim and warned in September that the United States would have no choice but to “totally destroy” North Korea if forced to defend itself or its allies. One of the top stories of 2017 is the emergence of North Korea as a nuclear missile power. This was not a great surprise. North Korea has sought a nuclear weapon since at least the 1980s, and its program has been pretty serious since the early 1990s. Nevertheless, it always seemed that considerable hurdles—technical, logistical, financial, intellectual—stood in the way. Now it appears North Korea can launch a missile all the way to North America, and President Donald Trump has elevated the issue to one of his chief priorities. He has used tough language against the North Koreans, at some points appearing to threaten a massive, possibly nuclear, strike. This has created much alarmism and paranoia that war is imminent. But there is little empirical indication that this is so. I live in South Korea, and while there is much rumor, there has been no new stationing here of major U.S. assets. The military aircraft units necessary for an airstrike are not moving in. The armada Trump threatened in the spring still has not arrived. Leaves of U.S. soldiers are not being canceled. Noncombatants are not being evacuated. In short, a glaring gap has opened between the reality in South Korea and Trump’s warlike rhetoric. At some point, the Western media will catch on and begin to report despite the Trumpian bombast, war is unlikely. Indeed, the president recently passed up his best chance to lay the public opinion groundwork for a strike in a speech to the parliament of South Korea. South Korean cooperation, if not open support, is vital for any such strike. Many of the necessary military assets are there, and South Koreans would bear the brunt of any Northern retaliation. Yet Trump did not use the opportunity to lobby for war or even a limited airstrike. Instead, he promoted the decades-old U.S. effort to contain, deter, isolate and sanction the North. If Trump isn’t bothering to sell an attack to the South, then the likelihood, no matter what he says on Twitter, is that he will not strike. The reason, after all the noise about how we cannot tolerate a nuclear North Korea, is that we can. For many years, the United States has put up with three other countries whom we deeply distrust—Russia, China and Pakistan—having nuclear weapons. Only once, in Cuba in 1962, did we consider blocking a nuclear expansion with military force. The result was the terrifying Cuban Missile Crisis. And while the U.S. arguably won that standoff, it so unnerved U.S. decision-makers, as well as the rest of the planet, that it never repeated the exercise. When China developed nuclear missiles in the 1960s and ’70s, we did not interfere, even though China was going through the tumult of the Cultural Revolution. Similarly, when Pakistan nuclearized in the 1990s, the U.S. did not intervene, even though Pakistan had, and still has, serious Islamic fundamentalism problems. In each instance, a state in deep ideological opposition to the U.S.—Stalinist, Maoist and Islamic fundamentalist—acquired nuclear weapons and set off an anxious discussion in the U.S. about “fanatics” with the world’s worst weapons. Yet the alternatives were even worse. Airstrikes on China would have set the whole of East Asia ablaze; dropping Special Forces into Pakistan to hijack its weapons—an idea briefly considered—would have been a near-suicide mission; striking the “Islamic bomb” might have sparked a regional Muslim revolt. In all cases, U.S. officials found the risks of action outweighed by the risks of trying to manage the new status quo. In time, Washington adapted. This is almost certainly what will happen with North Korea. Once again, “fanatics” have acquired the bomb, and nightmare scenarios of a nuclear war abound. Yet there is little indication that the North Koreans seek these weapons for offensive purposes. Striking the U.S. with a nuclear weapon would clearly lead to the North’s rapid destruction. The Northern elite are not suicidal. Instead, it appears that they wish to survive. Indeed, they have pointed out that if Saddam Hussein or Muammar el-Qaddafi had had nuclear weapons, they would be alive today. There are strike options, but the possible consequences, including a Sino-U.S. war and the regional use of nuclear weapons, are so dire that we have always demurred. The North has taken major provocative actions at least six times since 1968, and we have never struck back. The reasons then are the same as they are today: North Korea could devastate Seoul with conventional artillery in retaliation; North Korea has a defensive treaty with China; the North would immediately respond to any U.S. airstrike with human shields; North Korea has been tunneling in preparation for war for decades, requiring a U.S. air campaign so large it would effectively be a war—there is realistically no surgical strike option; now that North Korea has nuclear weapons, it could respond to U.S. action by using those weapons. In brief, the risks associated with a U.S. strike on North Korea are high and have just gotten higher with the North’s progress on nuclear missiles. Just as we grudgingly learned to live with Soviet, Chinese and Pakistani nuclearization, I predict we will learn the same with North Korea—even if our leaders will not admit it publicly for some time. Robert Kelly is a professor of political science at Pusan National University in South Korea. New Yorkers, especially in Westchester, just got another painful reminder of the cost of Gov. Cuomo’s foolish drive to shut the Indian Point nuclear power plant. Last week, Rep. Nita Lowey (D-West­chester) introduced three bills to deal with some consequences — namely, the risks of storing spent fuel rods on-site and the loss of tax revenue to the local communities. The bills would require that safety-related fines against the plant go to the communities. They would also speed up removal of the spent rods and bolster safety in the interim. The loss of a major source of reliable power (Indian Point supplies 25 percent of the electricity for the city and its environs) is still the top concern here. But ending Indian Point’s tax payments also presents huge problems: The plant funds half Buchanan’s budget. Cortlandt and the Hendrick Hudson School District’s finances are at risk, too. These communities face combined losses of some $32 million a year. Residents must worry about daunting tax hikes — even as many will lose their jobs if the plant closes as scheduled by 2021. Lowey, who supports the shutdown, is grasping for ways to deal with the blowback. It’d be better to keep the plant open and preserve a pillar of the region’s economy — but that would mean facing down the hysterical fearmongers. If there is any silver lining to this steady escalation in nuclear firepower, it’s that neither India nor Pakistan appears to possess chemical or biological weapons. 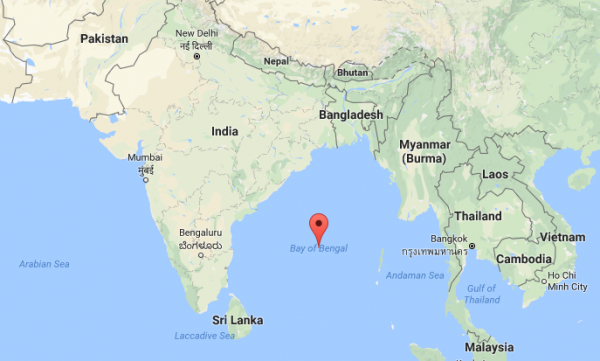 (India completed the destruction of its stock of mustard gas in 2009.) However, the potential for catastrophic loss of human life if nuclear warheads rain down on the cities of the Indian subcontinent is self-evident. Indian prime minister Narendra Modi and Pakistani prime minister Nawaz Sharif showed goodwill in a surprise meeting in 2015. Unfortunately, neither state appears capable of shaking out of its intractable pattern of conflict, driven by domestic political forces, which makes diplomatic accommodation difficult. The struggle for Kashmir occupies an important part of Pakistani national identity, and there has yet to be a civilian head of state in Islamabad with the will and authority to bring an end to cross-border infiltration and support for terrorist or insurgent fighters. For its part, the Indian Army has failed to respect local Kashmiri leaders and significantly improve its human-rights record. In 2016 the killing of Kashmiri militant Burhan Wani led to an outbreak of domestic civil unrest in Kashmir that resulted in dozens of civilian deaths. After attackers killed seventeen Indian Army troops in Uri on September 18, the Indian army launched a cross-border raid under murky circumstances ten days later, followed by heavy exchanges of artillery and sniper fire in October and November that killed or injured dozens of civilians and soldiers on both sides of the Line of Control. The United States sits awkwardly astride the two states. During the Cold War, the United States tilted in favor of Pakistan due to India’s good relations with the Soviet Union. Richard Nixon and Henry Kissinger, against the advice of the State Department, even dispatched a carrier task force in a futile attempt to dissuade India from its support of Bengali independence fighters. However, in recent decades, U.S. diplomacy has moved gradually in favor of democratic India, both due to its potential as a future superpower and its role as a counterbalance to Chinese influence. The role played by President Clinton in helping negotiate the end of the Kargil conflict in 1999 stood as a key turning point in the region—and marked one of the most dangerous confrontations in recent history, as it two nuclear-armed states were at risk of entering into full-scale conflict. U.S. relations with Pakistan, meanwhile, have worsened despite a continuing flow of American arms for the Pakistani military. This mutual distrust is due to the presence of Islamic militant groups on Pakistani soil and U.S. drone strikes targeting them. Washington and Islamabad have genuinely diverging interests in regards to Afghanistan, the latter desiring to control Afghanistan out of fear that it might otherwise fall under Indian influence. Pakistan, however, can fall back on its relations with China if the U.S. alliance collapses, leading to a complicated diplomatic balancing act. Despite diverging political agendas on the Indian subcontinent, there should be a common interest in limiting the proliferation of nuclear weapons and the likelihood of nuclear war. Growing arsenals in India and Pakistan serve to increase the catastrophic human cost of a potential conflict between the too, without evidently decreasing the frequency of inflammatory episodes of violence that spike tensions between the nuclear-armed states. India and Pakistan will of course retain their nuclear arms, and continue to see them as vital deterrents to attack. However, for such policies to remain tenable in the long run, the longtime adversaries must seek to bring an end to a pattern of recurring conflict that is entering its seventh decade this year. This first appeared in the Summer.